exactly why I asked Mr. Majordomo to bring u the oat milk, instead of me. The attack from your cats predictable, they are meat eaters after all (starved on oat milk). But even Mr. Majordomo did not buy into it. Why would three Irish republicans go to one of the most dangerous countries on earth, travelling on false passports into the stronghold of a guerrilla group notorious for kidnapping, drug trafficking and murder? It is a question the three defendants will attempt to answer at their trial in Colombia, but one which has provided untold anguish and embarrassment for Sinn Fein and considerable anger for the White House. There may be a simple explanation. They might have been there as "eco-tourists" (the first explanation offered) or to study the Colombian peace process (the subsequent explanation). The notion of convicted terrorists James Monaghan and Martin McAuley chasing butterflies in the jungle is charming. But am I alone in wondering if it is true? "chasing butterflies in the jungle is charming"
butterfly effects? has anyone ever predicted a storm based on the flap of a wing by a butterfly? "Irish republicans" looking for Democrats? They might have been there as "eco-tourists" (the first explanation offered) or to study the Colombian peace process (the subsequent explanation). if they offered one benign explanation and then retracted it and offered a second equally benign explanation, then neither is true. One was a biologist, the other a social anthropologist. You have the plumber in. And offer him a cup of tea. All your mugs are dirty except for ones that have “Follow Your Dreams” or “Love You To The Moon” written on them or the one with a moustache picture. Which do you use? The Moon one. BTW do you offer before or after he does his work? I did once tell a particularly useless BT engineer that I wasn’t going to make him a cup of tea because the service was so bad. He immediately stormed off in a huff. Didn’t matter because the problem was at the exchange and not with my equipment...precisely what I’d been telling him for an hour. 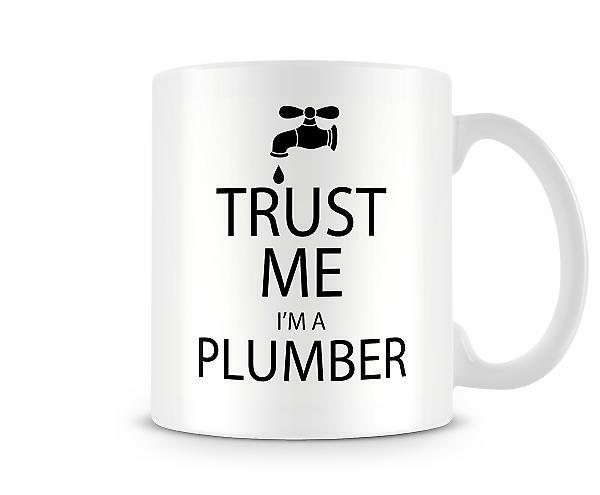 Most plumbers study Kant and Wittgenstein and the Edinburgh Fringe Festival in their free time, I find it very difficult to get through to them. I asked my Irish plumber if he wanted a cup of tea when he arrived. He eyed with a look like "are you trying to trick me?" Like father Stone. I'm not kidding. Still, I have to remains friendly. I had a visit from two locksmiths a few years ago. For me it was to see what had to be done. They wanted to install the locks there and then (after 16.00 hours , double time). The discussion got a bit stroppy when they demanded that their travel costs be paid. Their body language changed as they entered my personal space... I can imagine that many (older?) folk would be intimidated by this aggressive behaviour. Do BT engineers charge for travel costs? Last edited by Cuchulainn on September 25th, 2018, 8:34 am, edited 1 time in total. ouch. They charge for that tea break. "Their body language changed as they entered my personal space"
they tend to do so when they suddenly unexpected encounter Judo! Last edited by Collector on September 25th, 2018, 11:00 am, edited 1 time in total. My father had a young student (14?) that loved to listen to water running through pipes. He became an extremely good plumber. And after re-visiting our house 40 years later he remembered such things as the brand of the dish washer we had there 40 years ago, where an old pipe had been, where an old fan had been and the color of it (all gone). I suspect he has photographic memory. He also remember the altitude and latitude on basically every city in the world. And he loves his work as a plumber. How can one get tired of fluid dynamics! You should know! How was he with malltitudes? Oftwhile balbulous, mithre ahead, with goodly trowel ingrasp and ivoroiled overalls which he habitacularly fondseed, likeHaroun Childeric Eggeberth he would caligulate by multiplicab-les the alltitude and malltitude until he seesaw by neatlight of theliquor wheretwin 'twas born, his roundhead staple of other daysto rise in undress maisonry upstanded (joygrantit! ), a waalworth of a skyerscape of most eyeful hoyth entowerly, erigenating from next to nothing and celescalating the himals and all, hierarchitec-titiptitoploftical, with a burning bush abob off its baubletop andwith larrons o'toolers clittering up and tombles a'buckets clotter-ing down.